The beautiful and powerful Chevron Amethyst hold the powerful presence of the Violet flame and the White Light. These are a perfect gift for those who need to transmute negativity and just do not know how. Just by holding them, the shift occurs. The violet flame is one of the greatest spiritual tools on the planet. It is Spiritual Alchemy in action. Its purpose is to transmute denser feelings, actions, deeds, karma, etc. into a higher vibrational frequency It is an aspect of God's light known as the flame of forgiveness it is an amazing process for the transmutation of negative energies. 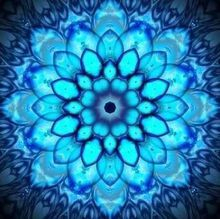 The violet flame forgives as it frees, consumes as it transmutes, clears the akashic records of past karma and sets you free into a place of holding a higher light. the violet flame flushes out and renews the cells of your mind, body and spirit. The beautiful and powerful Chevron Amethyst hold the powerful presence of the Violet flame and the White Light. These are a perfect gift for those who need to transmute negativity and just do not know how. Just by holding them, the shift occurs. The violet flame is one of the greatest spiritual tools on the planet. It is Spiritual Alchemy in action. Its purpose is to transmute denser feelings, actions, deeds, karma, etc. into a higher vibrational frequency It is an aspect of God's light known as the flame of forgiveness it is an amazing process for the transmutation of negative energies. The violet flame forgives as it frees, consumes as it transmutes, clears the akashic records of past karma and sets you free into a place of holding a higher light. 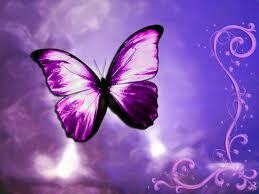 the violet flame flushes out and renews the cells of your mind, body and spirit. he Violet Flame was brought to earth by Ascended Master St Germaine. It is an intelligent fire; it cannot destroy, but only restore energy to its original purified blueprint. the Violet flame can be consciously directed on a sub-atomic level to the particles of energy that accumulate in the open spaces around the cell nucleus. Accumulated substance inhibits the flow of light around the electrons. This cellular clogging can have all sorts of manifestations in the physical body. Violet flame invocations can transform negative energies instantly. If you are feeling sad, depressed, fearful or angry, the violet flame can help you immediately. When you call to the violet flame and surrender these unwanted energies the fire instantly begins to breaking down particles of substance that have accumulated over thousands of incarnations. When you invoke the violet flame, visualize yourself surrounded by a violet flamed pillar extending from beneath your feet to over the top of your head. See the violet flame come to life allowing the flames to rise and pulsate around you. Keep this visualization in mind throughout the day. Every time you think of it, you are reinforcing the Violet flame. There are unlimited ways to use the Violet Flame. Bring the Violet Flame into your body. Ask your Higher Self, a Master, Angel to assist you, or just ask the Flame to "be made manifest." visualize a ball of violet fire above your head, Then ask that violet ball of fire to come into your body and fill every inch of your entire body. Ask the Violet Flame to transmute anything and everything standing in the way of you becoming a Christed Being. When the violet flame transmutes the negativity in your body mind and soul "Holes" are created in your aura where the blocks were consumed. It is very important to fill those spaces up with golden healing energy. (say out loud. “Violet Flame turn all that has been transmuted Into the Golden Light of Christ Send this Golden Light to me now, filling and surrounding my entire body with its Divine Radiance.